ZTE phones might not be very well known or popular in Western markets, at least outside of its fairly recent drama, but the company has a lot of great devices in its lineup. They’re typically quite affordable, as ZTE has to keep its prices down to stay relevant on the market. Best phones with 8 GB of RAM – what are your current options? Despite being cheaper than a lot of the competition, the company’s smartphones are easy on the eyes and sport a solid build quality. If you’re thinking of getting a smartphone made by ZTE, this is the post for you — check out the best ones currently available below. Editor’s note: We will be updating this list of the best ZTE phones regularly as new devices launch. If you’re looking for the very best ZTE phone, the Axon 9 Pro is the one to get. It’s a flagship device, featuring a 6.21-inch Full HD+ display the Snapdragon 845 chipset, and 6GB of RAM. It also comes with a dual-camera setup at the back and a large 4,000mAh battery. It has an eye-catching design, although its notch is quite large — as is its chin. The back is made of glass for a premium look and feel, and is curved on the sides to make it sit better in the hand. The Axon 9 Pro supports wireless charging and is IP68 rated for protection against water and dust, but it does not have a headphone jack. ZTE’s flagship was announced in August and is available in Europe, retailing for 610 euros (~$700). Unlike its predecessor — the popular Axon 7 — it was not released in the U.S. The ZTE Blade V9 was announced in February 2018 and packs mid-range specs in a premium-looking body. The handset sports a 5.7-inch Full HD+ display, the Snapdragon 450 chipset, and 3 or 4GB of RAM. The ZTE Blade V9 offers a stock-like software experience. The Blade V9 is made of a new shimmering material called “Aurora Glass” and comes in a couple of colors including black and gold. It runs Android Oreo with a skin called “Stock Plus” on top, which offers a similar software experience as Google’s Pixel phones. The phone also sports a headphone jack, a dual-camera setup at the back, and a face-unlock feature. The handset is available in Europe, retailing for around 200 euros (~$230). Unfortunately, it was not released in the U.S. The next device on our list of the best ZTE phones is the Blade Max 2S, which made its debut back in October. The highlight feature of the device is its 4,000mAh battery, which is quite large considering the phone sports a 6.0-inch display. Other specs aren’t as impressive, though, and include the Snapdragon 435 chipset, 2GB of RAM, and a single 13MP camera. The Blade Max 2S offer 32GB of expandable storage and runs Android 8.1 Oreo. it sports a sleek design with a metal frame, a shiny plastic back, and relatively thin bezels. It also comes with a rear-mounted fingerprint scanner that lets you launch up to five apps. The Blade Max 2S is an affordable phone, which is to be expected given its specs and the fact it’s made by ZTE. You can get it from Newegg for just $180. 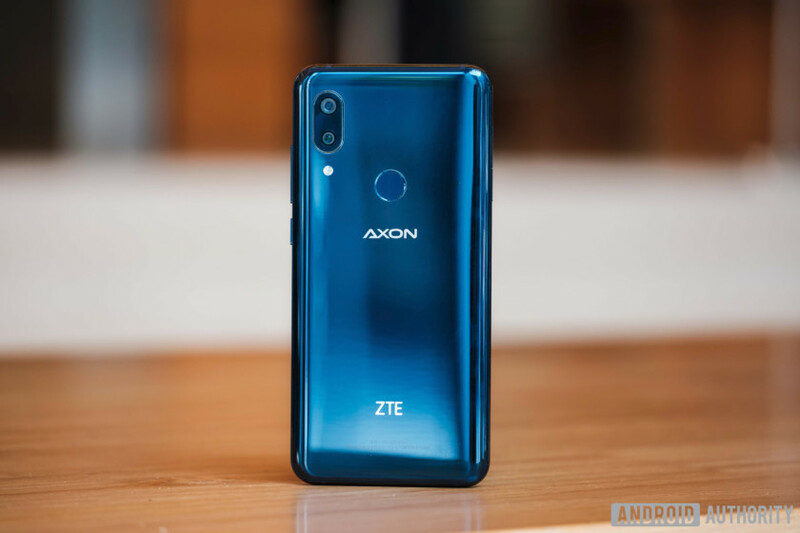 These are the five best ZTE phones you can currently get your hands on in our opinion, although there are plenty of other great models to choose from. Which ones would you add to the list? Let us know in the comments!